Long-standing Cuban leader Fidel Castro was the most prominent statesman in Latin America in the 20th century and he passed away in very challenging times, Ernesto Samper, the Secretary General of the Union of South American Nations (UNASUR) and a former president of Colombia, told Sputnik on Saturday. MOSCOW (Sputnik) — Fidel Castro, one of the world’s longest-serving leaders, died late Friday at the age of 90. His death was announced by his brother and the incumbent Cuban president, Raul Castro. "[Castro] was the most prominent statesman in Latin America in the 20th century… People do not choose the time to die. But he passed away in the most difficult moment, when the region is facing a great uncertainty connected with the election of Donald Trump," Samper said. According to Samper, the world will forever remember Fidel Castro as "a supporter of social equality, transparency and ideological coherence." Samper added that there were currently "dark clouds" over relations between the United States and other states in the region due to possible consequences of new US government's decisions regarding migrations issues and restoration of the diplomatic relations with Cuba. "It is our turn now to follow some of his [Castro's] ideas in order to know how to overcome this uncertainty," Samper added. 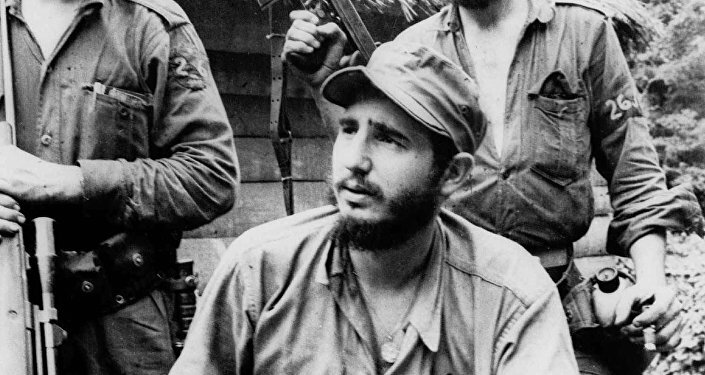 Fidel Castro was born in 1926 in the Cuban village of Biran. He became Cuban prime minister in February 1959 and the country's president in 1976. In 2008, he announced his resignation as head of state. He remained the first secretary of the Cuban Communist Party until April 19, 2011, when he officially announced his resignation from the post.